Gregory dreams of being a doctor. His mother is dead, and he lives with his single father and siblings. 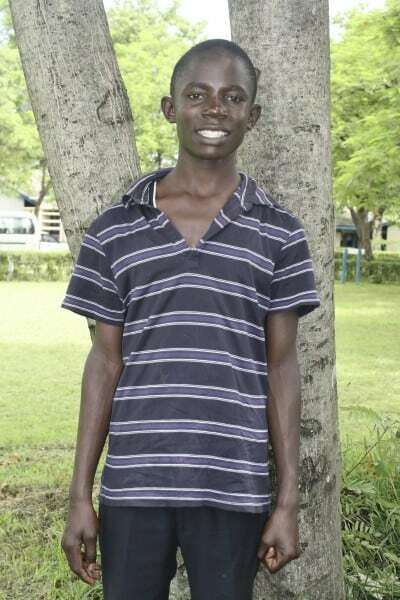 He paid his school fees by fundraising and receiving donations from well-wishers. A current Ndoto sponsored student happened to pass Gregory on the side of the road in rural Kenya while he was tending to animals. She saw a report card sticking out of his back pocket and asked him to see it. She discovered that he was smart, performed consistently as #1 in his class, and relied on donations to pay his school tuition. This Ndoto student paid the application fee, picked up an application, and took it to Gregory herself because she believed that he is exactly the type of student Ndoto is here to help.